The educational system of contemporary Ghana was established and shaped during its colonial period and it started with the Bond of 1884, the first political and military agreement between the British and a number of chiefs of local tribes inhabiting the territory known as the Gold Coast, which apart from granting the British the right to intervene in criminal cases and provide military protection for the region, allowed them to participate in the shaping of the customs of the natives, education being one of them. The shaping of the educational system, however, necessitated a considerable amount of money provided by 1852 Ordinance, which imposed a poll tax to finance the provision of education and hopefully, would lead to the establishment of a well-educated class of Africans . It was not until the 1870s, however, that the British government encouraged establishing government-assisted schools which were receiving grant-in-aid, yet, the amount of the ground depended on the level of efficiency (Curtin 1995:649). Further advance was made by the Educational Ordinance of 1882 (Anquaandah 1982:126), the document recommending the establishment of publicly funded government schools, industrial schools and a Board of Education as the body monitoring the school system. British support for education was strongly stimulated by the General Act of the Berlin Conference on Africa, which stipulated that it was a primary European duty to educate their colonial subjects. Thereby in 1887 the British government promulgated an Education Ordinance, which apart from imposing improvements on the school curriculum, teacher certification, and practical education for pupils, set the standards by which private schools might qualify for government assistance. As a result, the number of schools which were in assistance reached 132 by 1901 (ibid 1995:651). British assistance in shaping the education system of the colony, however, was limited due to several important factors. First, as the majority of schools on the Gold Coast were established by missionaries, who inhabited the territory since the fifteenth century, the provision of education was carried out by Christian denominations, and it was based on elementary teaching at the primary level, which necessitated seeking higher education either in Europe or the Fourah Bay College in Sierra Leone. Secondly, since Asante did not fall under the colonial jurisdiction until after 1902, it was impossible for the British to spread their provision of education beyond the coastal area (Rotberg 1970:12-14). Nonetheless, the next twenty years of British colonial rule brought a considerable number of adjustments into the educational system of the colony. They began with the submission of a memorandum of African education to the Secretary of State in which the Education Committee of Missionary Societies in Great Britain and Ireland, the author of the document provided advice on the development of education. The long list of recommended actions included foundation of local advisory committees, improved funding for education, equalizing school time dedicated to religious and secular subjects, manufacture and use of vernacular textbooks, vocational education for local people, training of native teachers in accordance with their qualification and character needs of the territories, and female education (Greene 2002:70). Meanwhile, brigadier General Gordon Guggisberg came and took over as a governor and the development programmes, which he introduced within his tenure( 1919-1927) revolutionized the educational system in Ghana. Guggisberg did not share the opinion of the previous governors, who had seen the provision of elementary schools by the Christian missions as adequate, and instead of continuing with the same system, he issued a 10-year development programme for the Gold Coast known as Gugginsberg’s Fifteen Principles of Education. The plan emphasized seeking funds for higher education accessible both for females and males, reduction of the size of classes, the expansion of facilities for training and adequate number of teachers, more emphasis in the school system on the teaching of local history, culture and character training (Abernethy 1969:15). 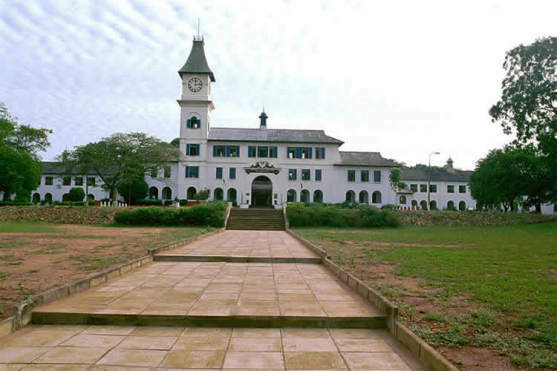 The plan was considered successful with the foundation of a technical college in Accra, and the Prince of Wales College (now Achimota College) as its crowning achievement, the latter being a nondenominational school, which catered for students from the kindergarten to pre-university level. Guggisberg’s provision for regular inspection of schools and his insistence on a minimum monthly salary of 5 pounds for teachers resulted in the closure of many mission schools, as the churches did not have adequate financial resources, and the government did not give them adequate grants-in-aid to meet the new requirements. If Guggisberg had accepted that the mission education institutions were, like Achimota, equally serving towards progress of the country, and had granted to institutions like Mfantsipim, St. Nicholas Grammar School (now Adisadel College) and the Akropon Training College, even half the amount of money he spent on the government college, he would have fully deserved the tribute often paid to him as a promoter of education in Ghana (Cardinall 2003:75). In January 1928 programmes for kindergarten and full teacher training were introduced followed by others, opened after the outbreak of World War II. 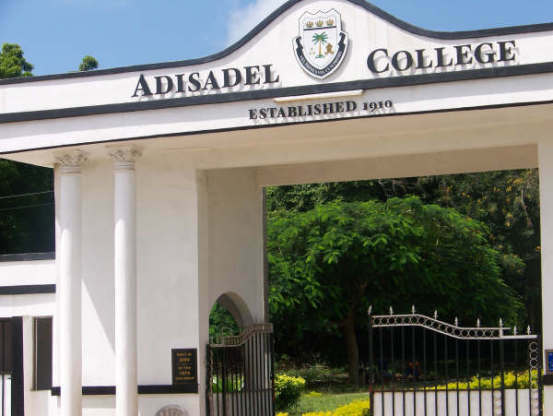 The Government College at Achimota, however, was not the only grammar school established before the country gained its independence in 1957 as a number of prominent both secular and religious post- elementary educational institutions were founded, just to mention Aggrey Memorial College, Adisadel College, Wesley Girls School, Mfamtsipim School, St. Augustine College, Ghana National College, Prempeh College. The “Gold Coast Report on Education for the Year 1951” gives the total number of 300,000 students admitted to schools at that time. By the 1950s over sixty secondary schools were established as well as numerous teacher training colleges primary and middle schools (Salm 2002:19). The emphasis the colonial government placed on the educational development of its subjects not only provided the native population of the Gold Coast with the ability to read and write, but also with a profound knowledge of particular subjects, which broadened their prospects of employment on the colonial job market, and therefore made them efficient employees of newly emerging industrial branches like mining, railway as well as administration. Later, after gaining independence the advantage of being educated offered every individual Ghanaian the ability to choose within a wide range of occupations the one which suited him/her best. Apart from the choice of a professional career, the imposition of education affected decisions concerning starting a family and number of children within a single family unit. High costs of education together with a considerable amount of time required by the educational process influenced the decisions of educated women on marrying later in their life, which also reduced the number of offspring they could produce during their fertile years(Salm 2002:143). Finally, colonial education altered the character of marriage itself since it promoted monogamous marriages after the promulgation of Marriage Ordinance, which forbade polygamy among the native coastal population (Curtin 1995:653-655).